but alone, I was God. You came forth from thought. and after, nothing but you. There is nothing that exists without you. Glorious Sarasvati, the Flowing One! 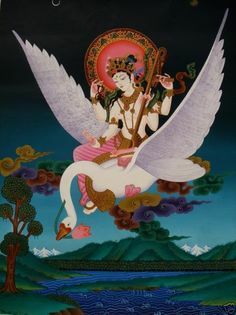 Hail Sarasvati! Hail Savitri! Namah! You are the half of me that brings forth the world.